The Johnson Self-Leveling 360 Degree Line Laser projects a 360-degree continuous horizontal laser line that provides precise horizontal alignment. It is self-leveling within ±5 degrees and sounds an alarm and flashes when beyond leveling range. The manual mode allows the laser to tilt to extreme angles. It has a locking mechanism to protect the inner pendulum during transport. The laser beam can be set to pulse for use with optional line detector. This line laser is accurate within a ±1/8 inch at 50 feet. 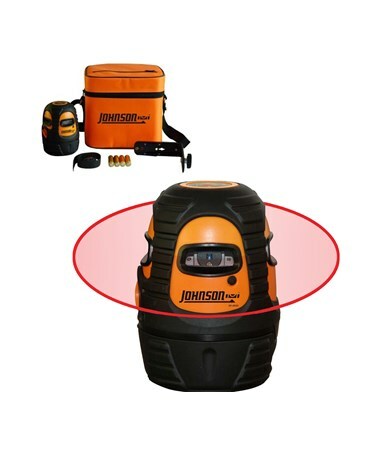 It has an interior range of up to 200 feet and maximum range of up to 300 feet outdoors, using the optional line detector. 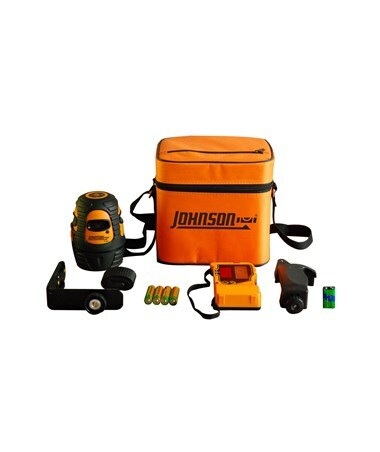 This Johnson Self-Leveling 360 Degree Line Laser is dust proof and waterproof, with an IP protection class of 54. The laser comes with four "AA" alkaline batteries, wall mount bracket, mounting strap, instruction manual with warranty card and a soft-sided carrying case. It also comes with a 3-year warranty. The optional line detector has a front and back LED displays and comes with 9V battery and clamp. 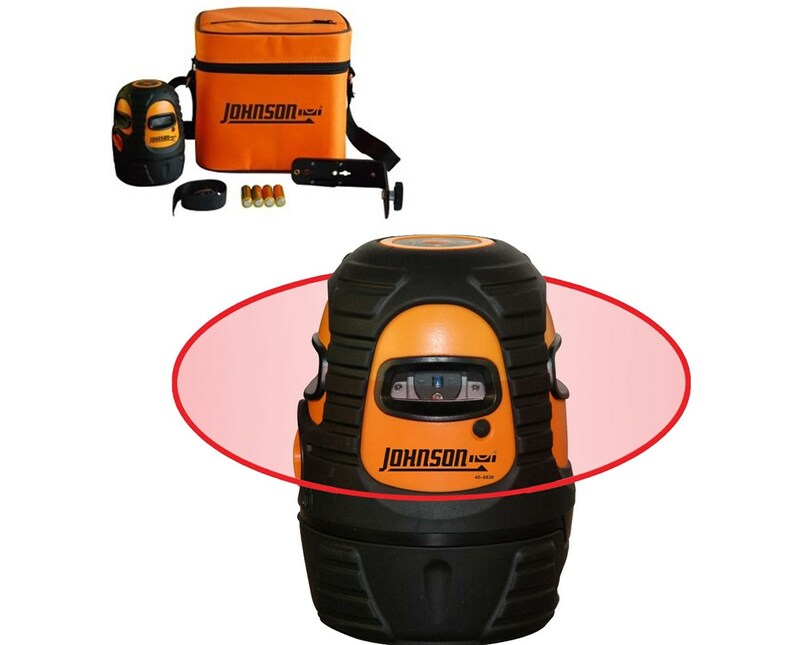 The Johnson Self-Leveling 360 Degree Line Laser is available in different packages. Select your preference from the drop-down menu above. This package includes four "AA" alkaline batteries, wall mount bracket, mounting strap, soft-sided carrying case, user manual, and 3-year with warranty card. 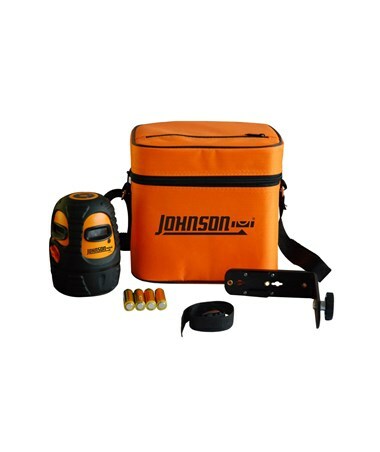 This package includes four "AA" alkaline batteries, wall mount bracket, mounting strap, soft-sided carrying case, a detector with 9V battery and clamp, user manual, and 3-year with warranty card.